ANOTHER PRICE REDUCTION! SELLER WANTS TO NEGOTIATE SALE OF THIS BEAUTIFUL ESTATE HOME!! 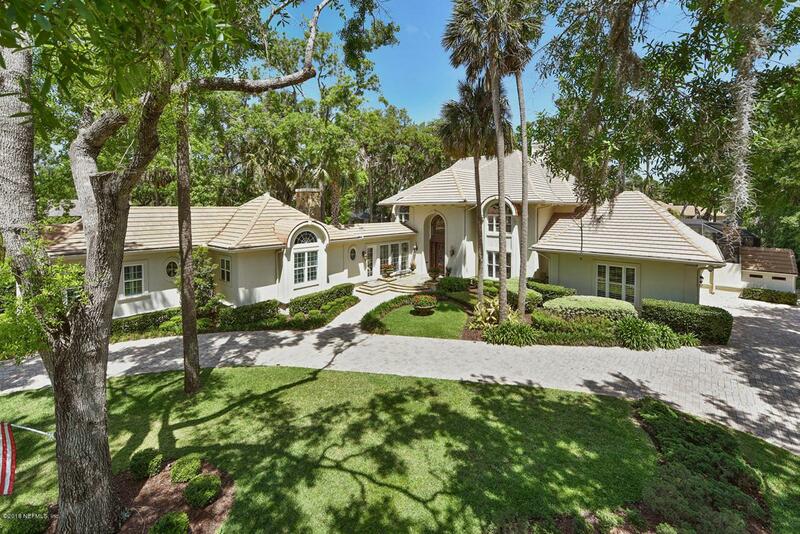 World renowned architect's personal home at the Plantation at PV. Exquisite details and materials project the owners immense depth of talent be in indoors or out.French Country estate pool home has over 5200 sqft of indoor living space & an abundance of amazing outdoor living spaces. Beautifully landscaped w/ stately palms & oaks & protected by a fully-automated insect misting system, this property features three formal courtyards, 2 large covered East Facing balconies, fire pit, huge screened in lanai with salt water heated pool, spa with attached bar, cascade, & Lynx summer kitchen. 2 first floor master suites.1st class upgrades throughout including hand scraped hickory wooden floors throughout main living areas, towering Florida's 'Quarried Coral' gas fireplace, California Closets, custom built-ins, plantation shutters throughout, formal & casual dining areas. Too many extras to list - this is a classic not to be missed. Come vacation in your new home.